Discovery Communications has named Susanna Dinnage as global president for pay TV channel Animal Planet, with general manager Patrice Andrews exiting. 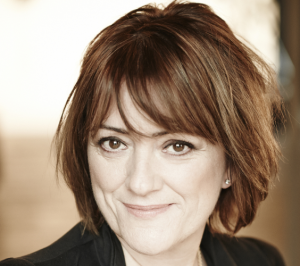 Discovery Networks UK and Ireland president Susanna Dinnage (pictured) has landed the post, which will see her jointly reporting to Discovery CEO and president David Zaslav and international chief executive J.B. Perrette. Discovery said this marks the first time one of its channel brands have been managed on a global basis, and represented a new operating model that aligns all of Animal Planet’s initatives. London-based Dinnage is also currently chief content officer for Perrette’s Discovery Networks International. A spokeswoman said she would remain in her current posts during a transition period. Her new post will see her oversee teams in the UK and US, and contributors from elsewhere around the world in order to create animal-themed content that serves ‘super fans’ – what Discovery calls niche groups of viewers and customers that are willing to pay for exclusive and original content on their favourite topics. Her duties will include developing direct-to-consumer products, production of short-form and mobile content, and overseeing Discovery’s investment in natural world-focused digital business The Dodo, which Group Nine Media owns and operates. The exiting Andrews had been overseeing Animal Planet with Rich Ross, who is group president of the network, plus the DIscovery Channel, Science Channel and Velocity. Ross will no longer oversee Animal Planet, however, and will focus on his role in charge of the other networks moving forwards. “As Discovery continues to strategically pivot and deliver our content to consumers across all screens and services, it is more important than ever that our brands are structured and managed in a way that best exploits their global potential,” said Zaslav. Dinnage has been with Discovery since 2009, holding several roles in Europe during that time. In the UK, she has built a suite of free TV, pay TV and OTT networks, plus recently launched Discovery Channel and Eurosport on the Amazon Channels platform. The animal kingdom and natural world give us all such joy and, in times of uncertainty, there is no better antidote than to spend more time immersed in the wonders of the world around us,” she said.